Handcrafted, hand-painted connected double bowl server. 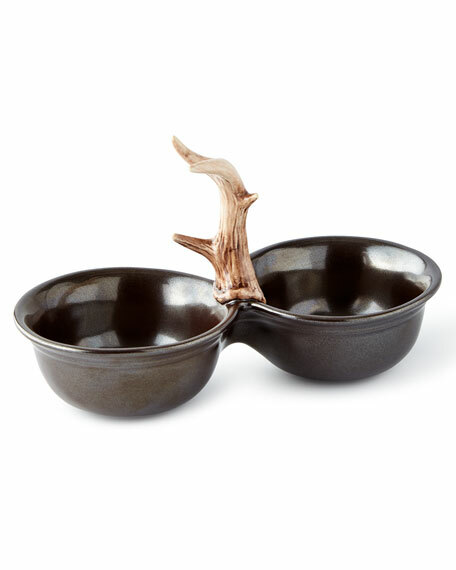 Ceramic stoneware with branch-shaped handle. Approximately 9"W x 2"T; holds 10 oz. For in-store inquiries, use sku #2268785.